Experience Africa's golden landscapes from the air on this Namibia 7-day fly-in safari. Anticipate mountainous dunes, abandoned shipwrecks, colorful red lava and yellow sandstone of the Huab River and much more. Depart Windhoek early. 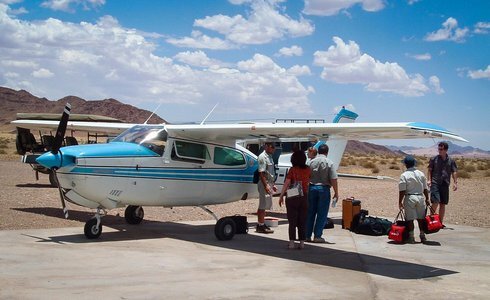 A Safari365 representative will lead you to a light aircraft for an early morning flight to Sossusvlei in the Namib Naukluft Park. Land at Sesriem, followed by an excursion into the dunes country. After the dune drive, return to the airport strip and fly along the coast via Conception Bay towards Swakopmund. The flight includes an aerial view of the famous Eduard Bohlen shipwreck at Conception Bay. After landing and refueling at the always quaint and Germanic Swakopmund, the journey continues with a low-level flight over the Skeleton Coast. At Cape Cross, drive past the seal colony for a light picnic lunch near the beach. Thereafter fly east, over the desert, to the Ugab formations - a nearly lifeless ‘moon landscape', before landing at the Kuidas camp in the Huab River Valley for the night. 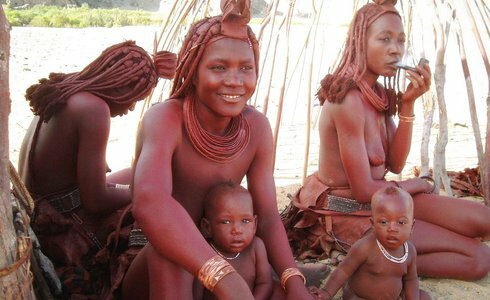 After breakfast drive along the scenic Hoarusib Valley to visit a settlement of the nomadic Himba people. En route look out for the desert-dwelling elephant who frequent this valley. The trip continues north along the Skeleton Coast by aircraft to the Kunene River, border to Angola. The Kaiu Maru shipwreck and pieces from old sailing vessels lie scattered along this part of the coast. From the airfield relax on a scenic drive by Land Rover to a favourite lunch site. After lunch travel through the mountains and dunes of the Hartmann Valley, which extends to the Kunene River, reaching the Kunene River camp in the late afternoon. 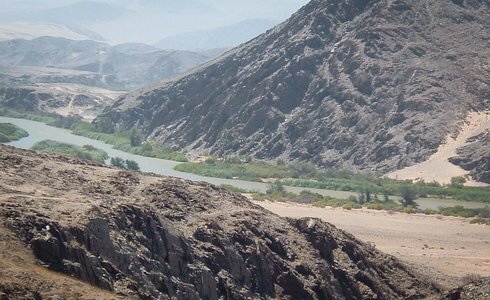 Explore the Kunene River as it flows through scenic desert landscape on an early morning boat trip. Observe bird life and other riverine species including crocodiles. Bird life is diverse, varying from aquatic species on the perennial waters, to endemic desert varieties and those which inhabit dense riverine vegetation. After lunch at the camp, fly directly from the Kunene River to the eastern side of the Etosha National Park, to spend the night at a lodge outside the park. After breakfast fly into the park for a game drive. Springs provide numerous drinking places for the animals, which congregate in spectacular numbers, especially during the dry season of June to December. Animals such as lion and steenbok may be found in specific home territories, while others such as springbok, eland, zebra, wildebeest and elephant wander all over in search of grazing spots. The flight back to Windhoek Eros Airport commences in the afternoon to ensure landing before dark, around 6pm. 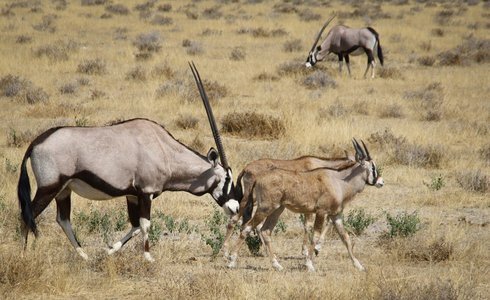 A Safari365 representative will expedite a transfer to overnight accommodation in Windhoek. Leave Windhoek accommodation early to connect with your outbound flight. 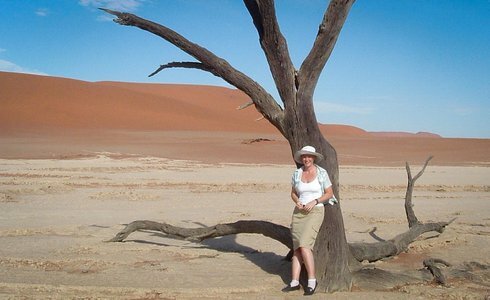 Depending on time of departure, there is the option of exploring the city life of Namibia or any other additional day tour safaris.